The UK Beer Stand is located just outside and to the left of the UK Pub. It also shares space with the Rose & Crown check-in area and as the main entrance to the Rose & Crown. As you might expect, it gets a little confusing. Lines here can be long, and there are only a few beers on tap. 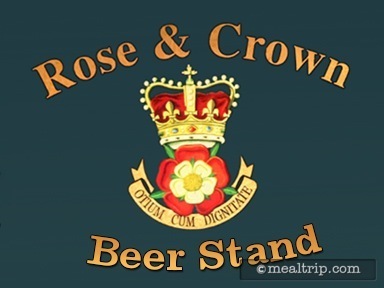 However, they do serve them in plastic cups, which is the main distinction from the Rose & Crown Pub. The beer from this stand, is "walking around" beer. Around the holiday period, there is usually a specialty beverage such as egg nog available.